The General Services Administration made several changes to three software-related special item numbers under the agency’s IT schedule 70 in an effort to keep up with marketplace demands. The U.S. Air Force intends to choose between Boeing and Northrop Grumman for the engineering and manufacturing phase of the service’s ground based strategic deterrent program that will begin in 2020, Defense News reported Thursday. 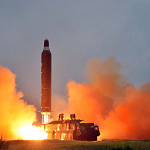 The successful bidder will produce intercontinental ballistic missiles and related systems that are slated to be operational by the late 2020s. U.S. Air Force officials noted that the nation is prepared to demonstrate space capabilities to adversaries to show readiness to react to threats, Defense News reported Wednesday. “That capability needs to be one that’s understood by your adversary. They need to know that there are certain things we can do, at least at some broad level,” said Air Force Secretary and 2019 Wash100 Award winner Heather Wilson during the recent Space Symposium in Colorado. The U.S. National Guard is conducting a cyber exercise with industry representatives and federal entities like the National Security Agency and the FBI to expand military capabilities in cyber defense, Cyberscoop reported Monday. The U.S. Navy issued a written testimony to the Senate Armed Services Committee stating plans to integrate multi-domain capabilities into its next-generation offensive missiles, USNI News reported Monday. The Navy’s Offensive Missile Strategy succeeds the Cruise Missile Strategy and includes non-nuclear offensive strike missiles with a capacity of over 50 nautical miles. The U.S. Army is planning to procure around 3,500 ultra-lightweight camouflage net system suits designed to conceal soldiers’ electronic and heat signatures for multispectral protection, the Army Times reported Saturday.